Help hens lay farm fresh eggs by providing comfortable nests and quality feed, using these useful tips from the Purina Animal Nutrition Centre. If raising a backyard flock was a treasure hunt, the ultimate prize would be a hen’s first egg. To extend this feeling of exhilaration and help hens produce wholesome, nutritious eggs long-term, care for the flock differently as they begin laying. Patrick Biggs, PhD, a flock nutritionist for Purina Animal Nutrition, says the transition from pullet to egg-laying hen often occurs at 4-5 months of age, subject to breed, environment and nutrition. “Laying breed pullets will begin laying at about 18 to 20 weeks of age,” he said, explaining that a rooster is not necessary for egg production. 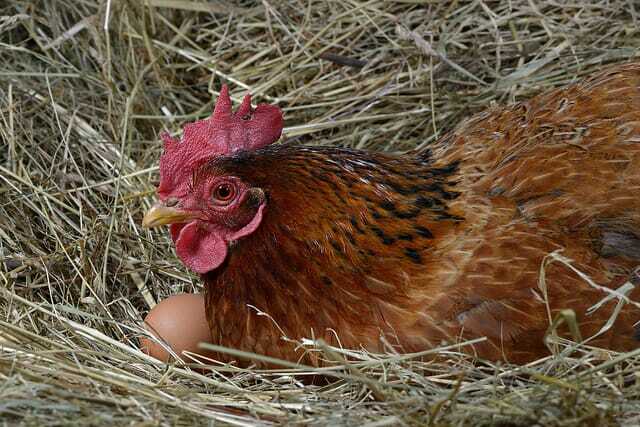 High-producing hens can lay up to 300 eggs per year; however, first year hens may lay fewer: about 200-250 eggs apiece. Because it takes approximately 24-26 hours for a hen to produce one egg, six eggs per week is an ideal goal. To help hens reach this target - and stay happy and healthy, consider the following housing and nutrition tips. “Be sure all the nest areas have a uniform environment,” Mr Biggs recommended. When pullets are nearing their first lay, their behaviour changes. They may begin spending more time with the rooster, crouching for breeding or investigating the nesting area. At this time, keep hens in the coop for short periods of time. Place golf balls or decoy eggs in the nesting boxes to help the hens understand the use of the nesting boxes. “Different nutrients are required to produce eggs as compared to what the pullet needs for growth,” Mr Biggs explained. Calcium is essential to form strong egg shells. If the bird does not secure enough calcium from her feed, she may pull the nutrient from her bones, which could eventually lead to a weak skeletal structure. “Since egg shells are developed at night, when birds are not eating, a consistent source of slow-release calcium in the diet is important,” Mr Biggs said. For even more nutritious eggs, Mr Biggs advised offering laying hens a complete feed that includes omega-3, like flaxseed oil. “When we feed our hens a high-quality feed, we can be proud to feed our families the eggs they produce,” Mr Biggs said.